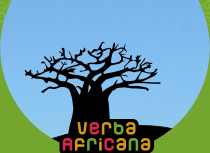 The Verba Africana series produces and publishes video recording of African oral genres online, whether classic poems, songs and tales or innovative genres such as hip hop and street theatre. The series adopts a web page model - with videos, texts and hyperlinks – which makes it possible for general public and researchers to choose among several levels of description and analysis. Accompanying material includes background information, excerpts of studies and (published or unpublished) research papers, interviews, transcription, translation, presentation and analysis of the context and of the performance. The idea underlying the Verba Africana series is that textual content and visual performance are both essential for classification, description and interpretation of the oral genres and their literary context. The volumes are intended for education and research and they are freely accessible on the Internet. Libraries can obtain copies offline on request and free of charges. The Verba Africana series was started by Daniela Merolla thanks to the collaboration between Leiden and Naples Universities and was integrated into the international project “African Oral literatures, new media and technologies” (coordinated by Daniela Merolla and Jan Jansen) supported by INALCO (Paris), SOAS (London), the Universities of Hamburg, Leiden, and Naples, the Netherlands Organization for Scientific Research and since 2010 by the World Oral Literature Project (Cambridge, UK), the Language Centre of the University of Ghana (Accra, Ghana), the School of Languages of Rhodes University (South Africa), and the University of Bamako (Mali). The Editorial Committee considers all submissions. Proposals, video recordings and textual materials are submitted to peer review.